If you’ve played online poker to any degree, it would be hard not to notice the wealth of bonuses on offer, with each different poker room offering cash bonuses to attract players from the competition. Poker bonuses, on the face of it, seem like an attractive proposition, and in some respects that is the case. 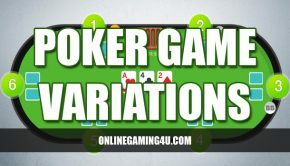 But there are also a number of drawbacks with poker bonuses that need consideration, and should be factored in when deciding which poker room and which corresponding bonuses to activate. 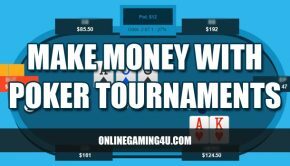 At the very heart of an online bonus is the idea that the player is receiving free money from the poker site, and by and large that is indeed the case. As a reward for your sign-up or for active play, you can receive a bonus in the form of an account credit ranging anywhere up to (and even sometimes in excess of) $100. As a result of intensive competition between poker rooms and the sheer variety of choice facing the would-be online poker player, the level and range of bonuses on offer continually escalates as competition creates a gamer-focused market. This effectively means it’s easier than ever before to claim real cash amounts in bonuses, which can boost your chances of profitable poker play. 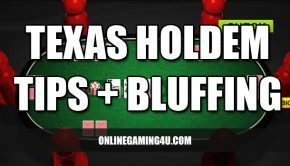 Poker bonuses can be directly applied to your playing capital, allowing you to stay at a table longer than your initial deposit would otherwise allow, and thereby giving you more of a chance to win money from your online poker. But unfortunately, bonuses are often less straightforward than they may at first appear, and there are a number of drawbacks that may be associated depending on the terms and conditions of the poker room offering a given bonus. Bonuses are frequent much more complex than their headline rate suggests, requiring specific levels of involvement from the player in the first instance in order to activate. More often than not, bonuses come with any number of strings attached, and this can make for a complicated claim process (particularly for new and inexperienced players). For example, poker rooms often prevent players from withdrawing their bonus amount until at least a matching amount has been deposited. There are numerous different limitations on how bonuses are paid, and it’s very much up to you to make sure you understand the rules before you let any headline bonus rate entice you to sign up. That said, some sites do offer more straightforward bonuses, and clearly outline the point at which these bonus amounts are paid. Wherever possible, it is advisable to stick with bonuses you can understand, and it’s essential that you become familiar with the terms and conditions attached so you know exactly when (and if) your bonus will be paid. While bonuses can be a helpful addition to your poker funds, its critical to read the small print rather than assuming an instant credit, and it’s imperative the individual gambler looks out for his own interests – especially when a better offer might be just a few clicks away!